President Emmerson Mnangagwa says Zimbabweans should accept the will of God but remain faithful even if hard times befall them. 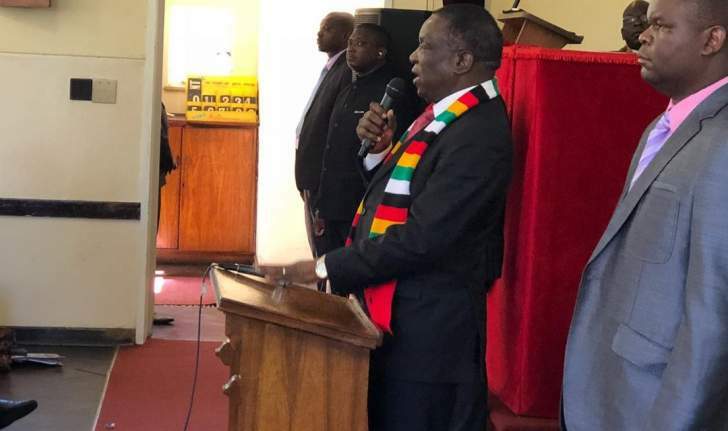 Mnangagwa said this when he graced a special church service at the Mabelreign Methodist Church in Zimbabwe, Harare in honour of Tropical Cyclone Idai victims and affected communities. "As people, we know things after they have happened. Right now, we don't know what is in store for all of us here tomorrow. Some will wake up with a headache tomorrow but it is only God who knows it. So we accept everything, but even if hard times befall us, we must remain faithful to God like [the Biblical] Job," he said. The President also said anything can happen anytime, so everyone must be ready. "When Jesus said: ‘Come to me,' he was referring to us the alive not the dead. So we must be ready always," he said, adding that everyone is a sinner and what is required is repentance so that people can be able to be with their creator. 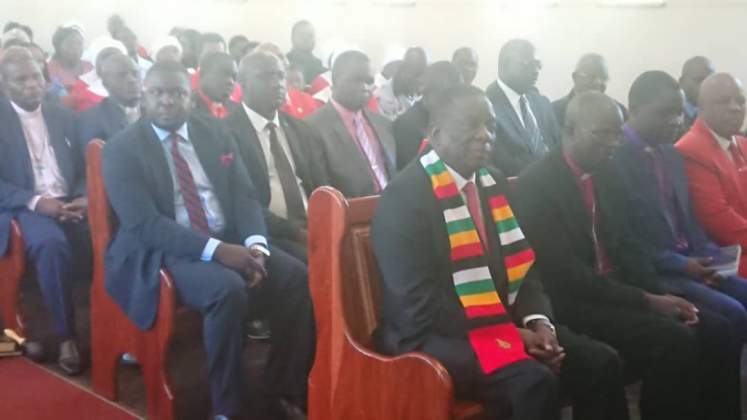 The special church service comes after President Mnangagwa declared two-days of national mourning this weekend remembering those affected by Cyclone Idai. 154 have died, with hundreds missing, while a lot of infrastructure has been destroyed mostly in Manicaland and Masvingo provinces. "After declaring two days of mourning, we saw it fit to spare this day to pray for those who perished in the disaster and those injured and others lost properties. I was in the United Arab Emirates (UAE) when the disaster struck, and by yesterday, the Crown Prince of Abu Dhabi had sent three planes with aid towards the disaster. We thank the local corporate world for giving a helping hand in the form of donations. Many churches, organisations, individuals, foreign embassies, the United Nations (UN) and the British government have helped us during this hour of need. Queen Elizabeth and Prince Charles have written to me, expressing their deepest condolences to Zimbabwe," said Mnangagwa. The President also thanked his Tanzanian counterpart, President John Magufuli, South Africa, Botswana and Angola for their acts of benevolence, adding that even the medical staff attending to those injured in Manicaland deserves special recognition. The President visited Manicaland for two days and I witnessed the disaster. He said in some cases, an entire home was swept away, with everything including plates and cooking utensils.